Opposition to the implementation of the Vienna, 2015 year, agreements with Iran over its "nuclear dossier" brings US congressmen and senators so that they are ready to forget about party differences. Democrats and Republicans in the fight for the preservation of the existing sanctions against Tehran and the introduction of additional, already on the new occasions, formed a united front, united in political fulminatory fist. Which repeatedly attacks the head of the White House, not letting them in connection with the upcoming post-election changes quietly prepare for the departure of habitable rooms, adding gray hair and causing heart palpitations. Yes, Obama and Kerry last year managed to push through the Capitol Joint Comprehensive Action Plan (JCPOA) on Iran's nuclear program, but, apparently, and the Congress and Senate are determined to do everything to make this victory Administration in thin and delicate area US-Iranian relations remains the only bright spot on the whole, quite bleak background. The tactics chosen by the anti-Iranian group on Capitol Hill, it is enough win-win. There is no need to attack the Vienna Agreement "head", since late enough to do it, and the specific advantages to the political reputation of the "hawks" that does not add - in fact yesterday, many of them said that the Comprehensive Action Plan, no less, major victory for American diplomacy, force Iran to submit to the will of the "international community." But it is possible to apply and by the Vienna agreements and the US-Iranian relations let a lot of small, but quite painful "bites." On the one hand, these "stings" provoke Tehran harsh statements and actions - and this is quite a reason for a strong reaction from Washington. And on the other - seemingly unnoticed, gradually, to build a new system of sanctions is not associated directly with the Iranian "nuclear dossier." During the discussion, have signed the Vienna agreement emerged and another interesting nuance. Even supporters JCPOA in the American elite believe that the rush to the lifting of sanctions against Iran is not necessary. The six-month or even a year of inactivity in this issue, not only does not hurt, but even benefit, as will provide absolute proof of good faith Tehran to meet the conditions of the agreement on its nuclear program. In part, this view is shared by John Kerry, who with some surprise admitted that its obligations Tehran carries, though perfectly, but, according to US officials "too fast" and the amount of work for which he was allocated a period until spring 2016 carried out in record time. Striving administration Rouhani get the first tangible results of the Vienna agreement for the upcoming February 26 this year, the parliamentary elections in the country - hence the efficiency in dealing with complex issues, from the export of enriched uranium to the dismantling of centrifuges - have put Washington, where some are already poised to accuse Iran of "delaying the implementation process JCPOA », in a somewhat awkward position. But can Democrats leave his own party - Obama and Kerry - in a difficult situation? 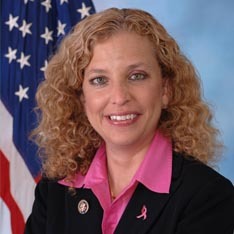 Moreover, this support perfectly fit into the plans of anti-Iranian lobby?And now Congressman Debbie Wasserman Schultz, the chairman of the National Committee of the US Democratic Party, said: "The United States and our allies must take immediate punitive measures and send a clear signal to Iran that the violation of international laws, treaties and agreements, will have serious consequences. "What is it? About the start of the new US anti-Iranian campaign related, this time, with Tehran's missile program. Actually, as the final stage of negotiations, "six" with Iran, and after the signing of the Vienna agreements serious analysts have pointed out that this missile program Tehran will use the anti-Iranian coalition and the hawks in Washington for sabotage JCPOA, and as a pretext for new sanctions. What actually happened. But if earlier the subject actively promoted the Republicans, now it is actively connected and Democrats, easily reaching a coalition with its yesterday's opponents, so much so reaching that, as mentioned above, erases all party differences. "The Obama administration should be imposed on Iran, a number of serious sanctions in connection with the testing of their ballistic missiles capable of delivering nuclear weapons," - require the Republicans. "Inaction on the part of the United States creates a false impression that, in connection with the nuclear deal the international community has lost the desire to engage the Iranian regime accountable for its support of terrorism and other activities in the region", - said in a letter to the six congressional Democrats to Obama. The similarity in attitudes and intonations as the reader can see, is complete. And the object of the attack is chosen perfectly. Tehran has repeatedly stressed that its missile program can not and should not be a subject of discussion. In response to a recent American outrage tests missiles "Emad", Iranian Parliament Speaker Ali Larijani, pointedly visited underground missile base and warmly thanked the staff for its great contribution to the security of the Islamic Republic. Hawks in Washington argue that Iran is violating its implementing UN Security Council resolution banning him the research and work related to ballistic missiles capable of delivering nuclear weapons. The Iranian side in response to the two results is quite perfect from the point of view of logic and law arguments: first, the design of the same missiles "Emad" does not provide accommodation for their nuclear warheads. Second, Iran's missile program is defensive in nature and is a response to the American mass deliveries of the most modern military equipment in Israel and Saudi Arabia. Here, incidentally, reinforcing Tehran's position, it is appropriate to recall that only last year, seeking to smooth the discontent of Tel Aviv and Riyadh Vienna Agreement, Washington has decided to provide them with military assistance worth about six billion dollars. And just since 2013, since the intensification of negotiations, "six" with Iran, the volume of deliveries of modern weapons to Israel and the Gulf monarchies amounted to nearly 46 billion dollars. "Iran is surrounded by countries receiving the most sophisticated US weapons systems. Therefore, it must modernize its arsenal to maintain a balance "- rightly observes analyst with Princeton University (USA) Hossam Sayed Musaviyan. - "This is a legitimate concern for their own safety." But logic and antiiranizm - things are absolutely incompatible. The onslaught of anti-Iranian coalition of Republicans and Democrats in the White House was so strong that the administration wavered. And last week notified Congress of plans to impose sanctions on Iranian companies and officials associated with the missile program of the Islamic Republic. 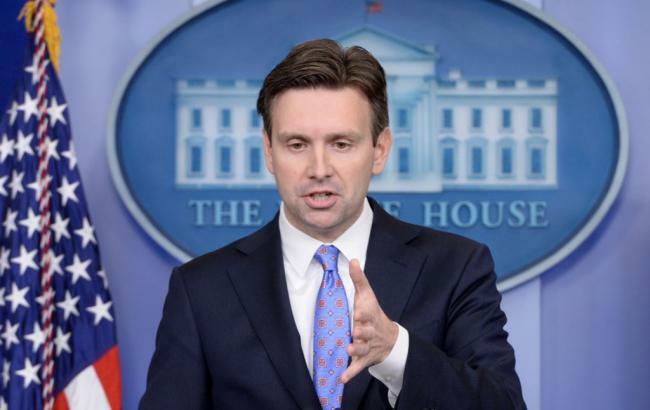 "We will impose sanctions at the moment ... when, according to experts, they will have the greatest impact [on Iran]," - said a spokesman for the White House Joshua Ernest. - "And these decisions are not subject to discussion with the Iranians or anyone else." In short, the issue of new sanctions is practically solved. And it is needless to say what they will have a negative consequence on the implementation of the Vienna agreements. But in this - and the essence of the plan, which implements acting on Capitol anti-Iranian coalition. ... As well as "terrorism" and "expansion in the region"
In addition to sustainable antiiranizma, a coalition of Republicans and Democrats is also different methodical and foresight. "Iran's missile program as a pretext for creating a new system of sanctions - is good, but a complement to it, allowing to expand its scope - it is better" - believe Capitoline sideltsy. And now the Republican Joseph Kennedy III th (Joseph Patrick «Joe» Kennedy III) and Democrat Ted Doytch (Theodore E. Deutch) proposed legislation to impose sanctions against Iran not only for its missile program, but also due to the "violation of human rights rights as well as support for terrorism. " Do not lag behind their colleagues, prepared the systematic and large-scale package of legislative acts against one of the backbone of the Islamic Republic of Iran has the structure - Islamic Revolution Guards Corps (IRGC). Sanctions are a pervasive and under them get everything and everyone: support for the legitimate government of Assad in Syria, participated in the bypass of US and international sanctions, "involvement in the financing of terrorism", "activity of any enterprise or organization in which representatives of the IRGC have 20 percent or more participation "... And so on and so forth. Another aggravation of permanent conflict between Tehran and Saudi Arabia, provoked by the execution of the outstanding figure of the Shiite al-Sheikh Nimrah Nimrah also gave impetus to legislative initiatives anti-Iranian coalition on Capitol Hill. 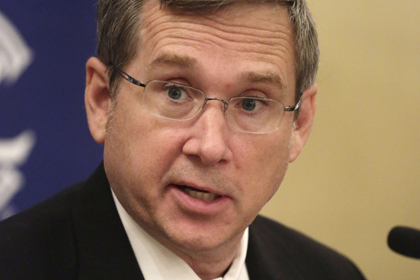 With the submission of Senator Kirk (Mark Kirk), a convinced "hawk" and a consistent opponent of any peace dialogue with Tehran, initiated a bill to support the rights of states and governments to impose economic sanctions against Iran - a kind of carte blanche for regional allies from among the same Gulf monarchies and joined them powers or Somalia, for example, Djibouti. Now, for the hostility with Tehran, they can expect not only moral support, but also, perhaps, to the very tangible benefits in the financial and military-technical terms. List of anti-Iranian initiatives today walking through the corridors of Congress and the US Senate, it could continue for another couple of pages at least.But is not the number of them. And the fact that most of them this year is quite have the chance to go through purgatory of hearings and become full-fledged legislation. Each of them individually like it is not too scale and not too much effort on the Vienna Agreement. But this is only at first glance. Both Obama and his administration - "lame duck" who simply do not have neither the desire nor the resources to deal with this tactic of "small bites." And more than likely that the plan of the coalition of opponents JCPOA - to create a new system of sanctions against Iran, which, moreover, if not destroy, the maximum complicate the process of implementation of the Vienna agreement - may well succeed. By and large, the problem of anti-Iranian coalition of Republicans and Democrats is to wait 2016. Wait, when the White House left the initiators of the negotiation process with Iran and the authors of the agreement on Iran's nuclear program. But do not expect this event passively, but in continuous works on the creation of a new system of sanctions. Leaders of the coalition believe that the new administration will take toward Tehran tougher position. And then it will be in demand all legislative blank, they win from weary Obama and Kerry are now - without interruption and compromise.